The pro-choice fringe loves nothing more than to hear that a bunch of right-wing religious zealots, Bibles in hand, are manipulating and coercing women into having babies they don’t want. And that there are places around the country, thousands of them, where this is actually allowed to happen! They are called crisis pregnancy centers, and they must be stopped! This makes for the reddest of red meat for the latest fundraising letter from groups like Reproaction, Abortion Access Hackathon, and Lady Parts Justice League. The latest campaign, which launched in late October, is called #ExposeFakeClinics. Like every campaign that has come before it, its main premise is that pro-life pregnancy centers pretend to be medical but are not. If this was true, then it would be ridiculously easy for the state to shut these centers down. Think if I set up my basement as a medical office and started seeing patients. No licenses, no trained medical professionals, no nothing. Just me with my bachelor’s degree in economics hanging from the wall. The authorities would be on top of me in a heartbeat. You wouldn’t need a heavily funded, social media-driven campaign to shut me down. You’d just have to make a few phone calls. Accordingly, pregnancy centers don’t just appear to be medical, they are medical. Per Care Net’s affiliation standards, all of our centers that provide medical services do so in accord with their state laws and operate under the direction of a licensed medical director. So, the very fact that pro-choice radicals are constantly launching “campaigns” to shut down pregnancy centers is an indication in and of itself that these campaigns are fraudulent… and they know it. Take one of the suggested tactics in the current #ExposeFakeClinics campaign. They instruct participants to go online to post fake negative reviews of pregnancy centers on sites like Yelp. Now, if pregnancy centers truly were these horrible places that pro-choicers claim they are, wouldn’t there already be negative reviews of them on Yelp? Care Net pregnancy centers alone (there are over 1,100) saw over 334,000 new clients last year. Wouldn’t some of those clients have already posted about the terrible service they were receiving? Well, they haven’t. In fact, between 2014 and 2016, over 97% of Care Net pregnancy center clients who completed an exit survey said they were satisfied with the care they received. Moreover, many pregnancy centers get much or most of their visits from referrals – former clients who tell their friends about the center. There are two other arguments that these campaigns use. One is that pregnancy centers provide women with misleading information about pregnancy and abortion. The reality is that every fact we use is referenced from a peer-reviewed academic journal, government study, science textbook, or the like. Our 36-page Before You Decide resource, for example, has 335 references, which are publicly available here. And the third argument that anti-pregnancy center campaigns try to make is that centers trick women into thinking they perform abortions. Again, the reality is that Care Net centers tell clients up front, either on the phone or in person, that they do not perform or refer for abortions. Yet, the clients stay, receive service, and then provide positive feedback about it. That does not sound deceptive to me. These realities expose a troubling undercurrent in campaigns like #ExposeFakeClinics, and ultimately, in pro-choice ideology as a whole. Such campaigns must assume that women are stupid and easily duped. Someone would have to be dumb as a bag of hammers to receive bad service, not know that they’ve received bad service, and then tell their friends to go get the same bad service. It would be analogous to walking into a burger restaurant, asking for a burger, being served chicken instead, and then going online to post that it was the best burger you’ve ever had… and all your friends should try it, too! Women, of course, are not stupid and easily duped, which is why the number of pregnancy centers is increasing and more clients are visiting them. The communities they serve are not stupid either. They see the benefits of having an organization in their community that provides an array of completely free services to women and men facing pregnancy decisions. Over the last 9 years, Care Net pregnancy centers alone have offered over 948,000 free ultrasounds and 2.5 million free pregnancy tests. More than 1 million people have received parenting support and education, and more than 1.5 million people have received material resources. These and other services amounted to over $56 million in free support provided by Care Net centers in 2016 alone. And this gets us back to where we started; fundraising versus fact-raising. 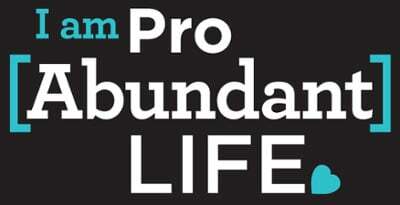 Pregnancy centers are a threat to the bottom line of the abortion industry. The more that women and men utilize life-affirming alternatives to abortion, the fewer abortions there will be. Care Net centers have saved over 600,000 unborn lives in the last 9 years. At $500 per abortion, that is $300 million in lost revenue for the abortion business. No wonder they have to fundraise off of our success! The good news is that most people see through these sham campaigns and see them for what they are; desperate attempts by the pro-choice fringe to rally their base and raise money through scare tactics and moral panic. Fortunately, the general public is uninterested in the latest fundraiser from your local pro-choice group. And the people who know pregnancy centers best, their former clients, are of course unfazed by false claims that have nothing to do with the reality of the compassionate support they received. Thus, invariably, these campaigns fizzle.